Thomas C. Chase began practicing law in Ft. Myers in 1980, after obtaining his law degree from Nova University Center for the Study of Law. As an associate in the firm of Allen, Knudsen, Swartz, DeBoest, Rhodes and Edwards firm, he handled divorce, corporate and commercial litigation, and real estate and condominium litigation. In addition, he handled defense work for the State Department of Risk Management. While at Allen and Knudsen, Tom was privileged to win several significant cases on appeal, and successfully handled a number of jury trials. 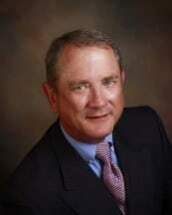 He was named a partner in the firm in 1984, and established his private practice in 1988. In 1991, Tom was certified as a mediator by the Florida Supreme Court, and mediated several hundred cases before turning his attention to personal injury work. Forensic Associates of Sanibel, Inc.
John A. Powell, Jr., Esquire, In-house counsel for Zurich, N.A.